Nothing to do but unpack your bags and enjoy the finer things life has to offer. 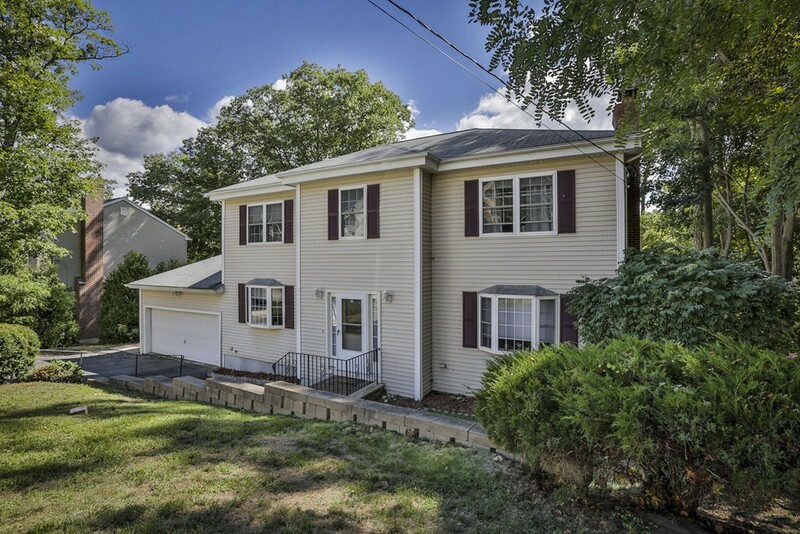 This center entrance colonial features 4 bedrooms and 2.5 baths in a quiet neighborhood. Step into the kitchen from your two car garage and find a gourmet eat- in kitchen, formal dining room and front to back living room with hardwood flooring throughout. Upstairs you will find a master bedroom fit for a king or queen with walk in closet and full bath. 3 additional spacious bedrooms and another full bath complete the 2nd floor. In the finished lower level there is a large family/media room with an additional finished room for an office or exercise area. As impressive as the inside is the backyard is the perfect setting for entertaining friends and family. A multi level mahogany deck surrounds your heated salt water above ground pool that looks and feels like a day spa.